Posted on 04/05/2014 by Laurent Moeri	in Hearth & Home, Revelations, War & Violence and tagged No One Is Illegal, Palestine, Syria, Tamim Al-Barghouti. 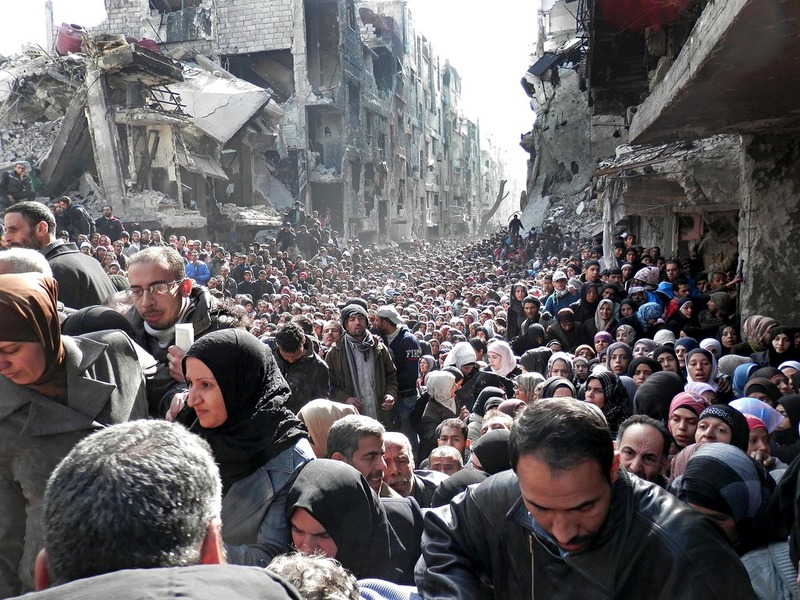 The Yarmouk camp for Palestinian refugees in Damascus has been under siege for months, exposed to ground and air strikes, causing several of the refugees to die of starvation and resort to eating leaves and cacti, as well as the spread of intestinal and skin diseases due to the lack of clean water. This has also resulted in the death of new-borns, their mothers, the elderly, the ill and the wounded because of the shortage of medicine. Anyone trying to leave the camp is killed and the camp has been bombed numerous times.